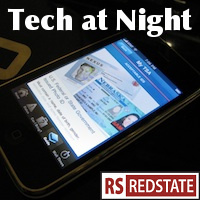 Tech at Night: A word on the politicization of Aaron Swartz’s death. Tech at Night: Netflix proves me right on Net Neutrality. DoJ on Swartz. At some point doesn’t somebody become concerned about the appearance of impropriety? Especially when Democrat initiatives like a data cap ban would favor firms like Google over telecoms? If you actually cared about privacy enough you’d quit using third party (especially free) email, Facebook, etc. and instead host your own email. I don’t see how there’s actually an expectation of privacy in these cases. If it’s not your server, including if it’s “on the cloud,” you’re not in control of your own data. All these short Tech at Night posts. We’re probably due for a flood of regulation, sadly.